For those who were fortunate enough to survive the Bhopal gas leak, the ordeal continues. The poison in the environment continues to pose risks to their life and health. Protracted legal battles have led to, at best, hopelessly inadequate compensation, writes Vibha Sharma. Photos from Raghu Rai’s book Exposure: Portrait of a Corporate Crime, published by Greenpeace. Burial of an unknown child: This unknown child has become the icon of the world’s worst industrial disaster, caused by the U.S. chemical company, Union Carbide. No one knows his parents, and no one has come forward to ‘claim’ this photograph. For many who survived the dark night of December 2-3, 1984, in Bhopal, dawn is yet to break. The leak of 40 tonnes of lethal methyl isocyanate (MIC) gas from the Union Carbide Corporation’s (UCC) pesticide factory — the worst industrial disaster in history — killed or disabled several lakhs. By the third day of the disaster, around 8,000 had died. Today the number of those who died stands at 20,000. Lakhs who survived were debilitated for life. Of the 5,20,000 who were exposed to the poisonous gases, 1,20,000 remain chronically ill. Nor is that all; till today children in the city are born infirm and deformed. Successive governments, Union Carbide Corporation and its new owner Dow Chemical shrugged off responsibility for the compensation and rehabilitation of victims. After years of legal wrangling for compensation, more than five-and-a-half lakh survivors of the tragedy are facing another threat. The hazardous waste, still lying abandoned at the site, is continuously seeping into the ground water. With the scientific evidence of contamination in ground water increasing and spreading with every passing day, the wait for a sequel to the 1984 disaster has started. While official estimates put the quantity of the toxic waste lying abandoned in the factory at somewhere around 8,000 tonnes, activists says the figure is much higher — close to 20,000 tonnes, perhaps, and could change if a chemical analysis of the waste is done. For now, samples collected by environmental groups from soil, groundwater and vegetables have shown dangerously high levels of heavy metals, including nickel, chromium, mercury and lead, besides toxic materials like dichlorobenzines. All of these were used at the UCC plant. The state pollution control board has also confirmed the contamination of the groundwater. Contamination levels in soil and water samples at the factory site has been found to be 10 times higher than in surrounding areas, clearly indicating that toxic waste lying on the premises is the source. Mercury and lead have found their way into breast milk, creating a whole new generation of the gas disaster victims. Wanted for homicide: Survivors display a poster calling for the extradition of Warren Anderson, former Chief Executive of Union Carbide, from the US. Many protesters are women who lost their husbands and children in the tragedy. In 1984, the wind direction had carried the deadly MIC gas towards the south. The groundwater thus contaminated is now heading north, carrying with it poisons to those who were believed to have been left untouched by the tragedy. Those living out the consequences of the tragedy are perhaps the only ones who care, says Abdul Jabbar, an activist who has been involved with the gas victims’ cause since that fateful night when he woke up to the sounds of screams. Jabbar now runs a seamstress workshop for widows of gas victims and is one of the activists, besides Rashida Bi, Champa Devi and Satyanath Sarangi, who are actively involved. For what he terms a "sagyan aparadh" (consciously committed crime), he blames everyone, from consecutive Congress governments, which according to him withheld information about water contamination at the site because it was a Congress government that had welcomed the UCC to Bhopal, to the present BJP government, which is doing nothing to alleviate victims’ miseries. "It is not even providing the affected areas with clean drinking water. There are tonnes and tonnes of toxic waste lying on the premises and the solar pond site near Annu Nagar," he says. What is the state government doing about all this, he asks. However, according to Chief Minister Babu Lal Gaur, the problem has been solved. "People are not being affected by the contaminated groundwater as they are not using it. We have put red cross signs on all hand pumps, carrying the warning that the water is not fit for drinking and can only be used for washing clothes." He says there are about 1000 houses in the area and fire brigade tankers regularly supply water to residents of Bada Talaab. "Dow Chemical is responsible for the contamination and the state government wants it to clean up the site. We had given Union Carbide clean land and we want clean land in return. It is a serious matter, involving a foreign country. After the Second Circuit Court of Appeals in New York on March 17 asked us to give a no-objection certificate so that Dow Chemical could be directed to clean up the site, we said we had no objection and wrote to the Chemicals and Fertilisers Ministry to pursue the matter." Fortunately, in June the Centre, following the NoC given by the Madhya Pradesh Government, had sent a letter to the US court, saying that it had no objection if the Dow Chemical was asked to clean up the site keeping in mind the polluter-pays principle. It seems the government, which has been criticised for its lax regulation of the UCC and reluctance to pursue legal claims, is finally ready to hold Dow Chemical, the multibillion chemical company which took over the UCC, liable for the ground contamination. Vinuta Gopalan, a Greenpeace India campaigner associated with the Bhopal campaign, terms this a good sign, even though it has come quite late in the day. "But that is how governments work. There is a lack of political will to enforce corporate responsibility and Dow Chemical refuses to fulfil its medical and social responsibility. It is not a question of 1000 houses but of 25,000 persons who still do not have access to piped water. These days tankers supply water to some areas, but during summers and monsoons matters become worse." Union Carbide abandoned its factory after the disaster, leaving hundreds of tonnes of toxic waste on the site. Until mid-2001, the factory grounds were inaccessible without special permission from the government. 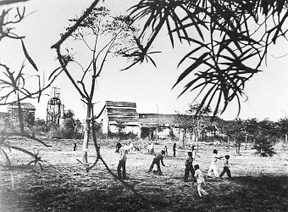 Now the perimeter walls are broken and local children play in the area, which remains dangerously contaminated. Jabbar is also not impressed by the Chief Minister’s statement. "Bade sharm ki baat hai. There are 8,000 affected families. The Chief Minister is waiting for others to act. It has been more than five months since the Centre wrote the letter to the US court. Why is the Chief Minister not telling the Centre to put pressure on the US Government or at least provide safe water, which is his responsibility? In 1997, the Gujral government had given Rs 3 crore to provide piped water in the affected bastis. Till date half of the affected bastis have tankers supplying water because these are the ones which have overhead tanks." "In some cases there pipelines have been laid but either the water is not potable or there is no water supply at all. In other cases, approach roads are so bad that during monsoons it becomes virtually impossible for tankers to enter the bastis. These are the times when people do not have any option but to drink contaminated water," says Vinuta. While experts have repeatedly underlined the urgency to secure the contaminated site, taking care of the hazardous waste may not be as simple as it sounds. Surendra Kumar, member of the FICCI expert committee on environment, calls it a complicated procedure, requiring complete data on the toxic waste with reference to its reactivity, explosivity, carcinogenic effects, subsequent generation of toxic chemicals and gases and their treatment. "Whether you recycle, reuse, treat, land fill or incinerate it, a complete dossier on the quantitative, qualitative and chemical properties of the waste needs to be compiled. Who knows what kind of complexities, changes or degeneration have taken place in the past 20 years," he assets. The government, he says, is a signatory to the Bassel convention on trans-boundary movement of hazardous waster, which has a specific procedure for handling toxic waste. Mohammad Rehan was just a year old when he was exposed to the toxic gas. He has undergone two heart surgeries. 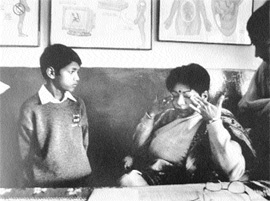 Dr Rashmi Jha treats victims at a clinic in her house. Her eyes were injured by the gas and 80 per cent of her lungs are also damaged. While official estimates put the number of those who dies from direct exposure to the lethal gases at 20,000, Jabbar says that the number of the dead is much higher, close to 40,000. By the third day after the first night when people woke up in their homes to fits of coughing and lungs filled with water, over 8,000 had died, mainly from cardiac and respiratory arrest. For as long as two days after the disaster, debate on the characteristics of the lethal gas, its repercussions on health and its antidotes was still going on. Survivors, who were mainly labourers, suffer from regular bouts of breathlessness, headaches and digestive problems, besides defective eyesight, severe depression, palpitations and other ailments which have affected their ability to work. Children are born with deformities and women face severe gynaecological problems, including painful menstruation and early menopause. Most of the survivors are deep in debt. The 1989 settlement of $ 470 million, a total of $ 370 to $ 533 per victim, is too paltry a sum to pay for medical bills of 20 years and make both ends meet. Fiftytwo-year-old Champa Devi Shukla, a survivor who lost her husband and one son to health complications following the gas leak, says the fight for compensation is far from over. For her efforts in pursuing the issue at both national and international levels, she was awarded the Goldman Environmental Prize, instituted by the Goldman Environmental Foundation, USA, this year. But since the dark night when she with her family ran towards the bus stand to escape from the city, survival has not been easy. Champa Devi is suffering from various health-related problems and her two married daughters have been sent to their paternal home because their in-laws could not afford their medical bills. Her nine-year-old grandson looks like a four-year-old and her granddaughter was born with deformities. Top lawyers admit that victims have not been able to receive adequate compensation, even after years of legal wrangling in courts, in India and abroad. The UCC settled a civil suit with the Indian Government in 1989 by agreeing to pay $ 470 million, which was then considered adequate compensation. Considering the magnitude of the accident, the way the case was handled by the government and other agencies was unusual. The final settlement came suddenly in 1989 as the Supreme Court felt that its approval on the settlement deed would save the victims from a lengthy legal battle and awarded $ 470 million to victims. The fact that the number of victims had increased five times since the accident and was increasing every day was not taken into account. But the question here is why such meagre compensation was considered adequate. Supreme Court lawyer S. Murlidhar, who has been involved with the case as a lawyer for victims and victim groups, has this to say: "The claims commissioner, who is a sitting high court judge, has dealt with over 10,29,173 cases and awarded compensation in 5,72,173 cases till date. As many as 12,000 cases are yet to be decided. There were 22,000 death claims, of which 7,000 were rejected outright. 15,000 were entertained and 60 per cent converted into injury claims, which in itself was absurd. Rs 85 crore was disbursed to 15,000 death claimants. On an average the next of kin of 6,300 death victims got Rs 1 lakh each. The rest got Rs 25,000. The 5.53 lakh injury cases were given Rs 1,442 crore, Rs 26,000 on an average." On October 26 this year, the Supreme Court gave the go-ahead to disburse this November the remaining Rs 1,576 crore to those who had already received the compensation. This was the second disbursement of the amount which was left after the payment of the compensation. Acting on a plea by gas victims’ organisations, the Supreme Court ordered that this amount should also be paid to victims on a pro rata basis. "Meaning, they will get an equivalent of the amount they have already received. But this is not sufficient. Then there are several others who at that time were not been able to file for compensation. Claims counter opened for the first time between 1985 to 1989, for the second time, for a few months, in 1992-93 and for a few days in December 1996. But what about those whose symptoms manifested themselves at a later stage?" Equally disturbing was the fact that against a preferred claim of $ 3.3 billion, a pittance of $ 470 million was settled. At the time of the final settlement, the Government of India, which had assumed the role of guardian of the victims, had been told by the apex court to meet the shortfall, if any, in the compensation amount. Shahid Noor of Bhopal Ki Awaz, an NGO, who was only eight years old at the time of the incident and lost his parents and younger brother the very next day, has no hope as far as any more compensation is concerned. "What is being disbursed now, that is it. But our fight for cleaning up the site and protecting the environment, rehabilitation and employment and better health facilities will continue." 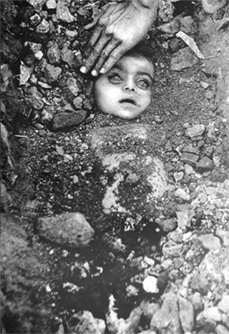 Who is responsible — the UCC whose behaviour has been a clear example of irresponsible corporate practices; the Government of India, which despite enacting the Bhopal Gas Leak Disaster Act that enables it to act as the legal representative of the victims, has been unable to ensure justice or adequate compensation; or the judiciary for its inability to deliver justice and bring the guilty to book. The UCC was one of the first American companies to invest in India. Employing approximately 9,000 persons, it operated 14 plants in five divisions. The Bhopal plant was built in the late 1970s and was owned and operated by Union Carbide India Limited (UCIL) with the UCC holding just over 50 per cent of the stock. Other investors included financial institutions and thousands of private investors. After the accident, the UCC played its cards well, like most transnational corporations who have learnt to elude moral responsibility, downplay damages and force attention and liability on a local company to escape criminal and civil liability. Governments all over the world are yet to learn to react on a global basis to ensure that MNCs and national corporations are to be held liable for their actions and desire to cut costs at the expense of safety in developing countries. Whether safety measures designed to prevent a gas leak malfunctioned or were inadequate or the safety siren was turned of, the truth is that when the gas leaked, the UCC did not even provide full information regarding the nature of poisoning. Doctors, who did not have any prior experience in dealing with anything similar, were left groping in the dark. Methyl isocyanate, says Surendra Kumar, is 10 times more lethal than phosgene and 100 times more than chlorine, the gases used in chemical warfare. The UCC managed to escape its liability by dumping responsibility on the Indian Government, besides cheating the victims with a paltry compensation of $ 370 to $ 533 per person. In 2001, it absolved itself completely of all responsibility by merging with the $-9.3-billion Dow Chemical, one of the largest chemical companies in the world. Dow Chemical also refused to accept moral responsibility for the UCC’s wrong doings in Bhopal or for health problems or for cleaning up the toxic waste, even though it has do so elsewhere. Yet, it claims to be pursuing correct environment health and safety programmes. According to Jabbar, had such a disaster happened in the USA, the waste would have been cleaned up now. If the company did not own responsibility then the government could have cleaned the site and billed the company. "Within one year of the World Trade Center incident, the site had been cleared and victims paid compensation and rehabilitated," he adds. A Union Carbide spokesman has been quoted as saying that the company and its sole shareholder, Dow Chemical, could not be held liable for any waste clean-up at the plant or any contamination of ground water as there was no legal foundation for such liability. According to the spokesman, the UCC had taken moral responsibility for the tragedy, but there was legal responsibility involved since the Bhopal plant was operated by the Indian subsidiary, Union Carbide India Limited (UCIL). 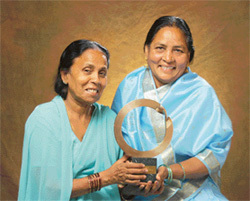 Rasheeda Bee and Champa Devi Shukla with the Goldman Environmental Prize for keeping the issue alive at both national and international levels. After the UCC severed its relationship with UCIL in 1994, the UCIL did some clean-up operations at the site, but did not complete the task. The plant site was later bought by another Indian company. Later it was made the legal responsibility of the state government. Perhaps holding Dow Chemical responsible has its risks. With the government having opened its doors to foreign businesses, it fears that any new legal action in the 20-year-old Bhopal case could scare off foreign investors. After the incident a large number of NGOs and activists took on the responsibility of resolving the compensation issue and rehabilitating victims. Vinuta says that efforts of activists like Rashida Bi and Champa Devi and their NGO Bhopal Gas Peedit Mahila Stationery Karamchari Sangh and fronts like the Bhopal Gas Peedit Mahila Udyog Sangathan led by Abdul Jabbar have kept issue alive the world over despite best efforts by the transnational involved to kill it. Greenpeace and Coalition of Survivor Groups in Bhopal are demanding that Dow Chemical should assume liability for the continuing and long-term health impacts of the disaster and for the loss of livelihood as a result of the disaster, by providing employment opportunities to victims and support to those rendered destitute, remove the contamination of the ground water and soil in and around the factory and ensure that the prime accused Warren Anderson is brought to justice in the Bhopal criminal court. 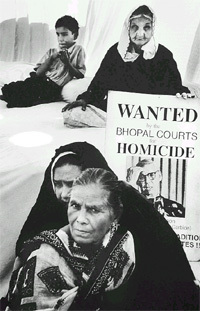 Justice has eluded the people of Bhopal for over 20 years. In 1987, a Bhopal District Court charged Union Carbide officials, including the then CEO Warren Anderson, with culpable homicide, grievous assault and other serious offences. In 1992, a warrant was issued for Anderson’s arrest. 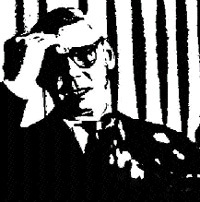 All efforts to extradite Warren Anderson have proved futile. He was last sighted by a British newspaper on Long Islands, living a peaceful life and playing golf.